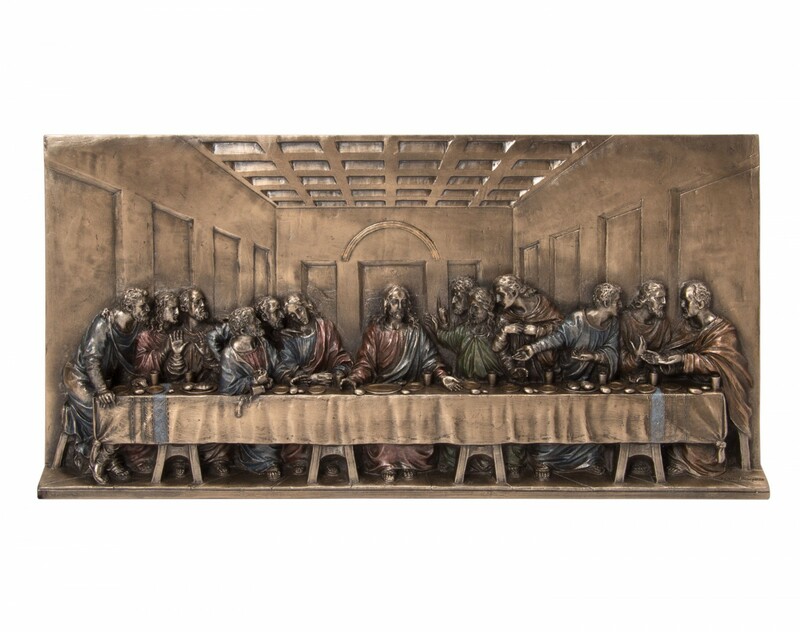 A remarkable, unusual wall plaque that displays the scene at the last supper in amazing detail. It can even be seen that Jesus must have just told them he will be betrayed, as the apostles act out in various poses of consternation at this news. 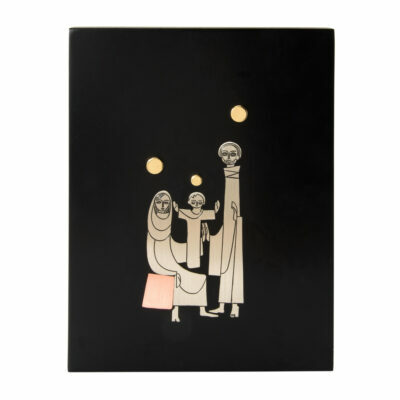 Its fun to try and pick out certain of the apostles from the stories we have in Sacred Scripture and the way the figures are cast in this collection. It is a wall hanging with hook and a felt back to protect the wall, but it will also set upright for an impressive and easy to view presence. 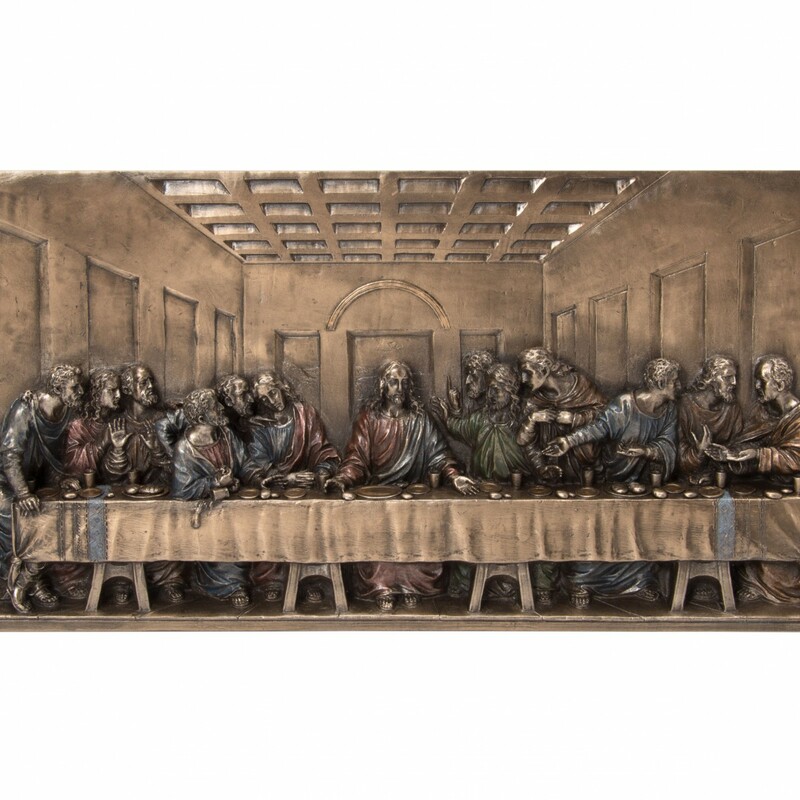 The room for the last supper frames the back of the plague with a golden color and the resin of the entire plaque gives it an appearance of being bronze metal. On the table are the place settings for a meal with everyone’s feet showing under the table while Jesus presides over the scene with his face showing a mixture of sadness and resignation. 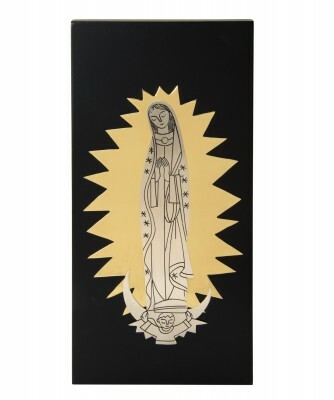 It would be an ideal, marvelous and superb “icon” style of plaque for display in important locations throughout a home or office.